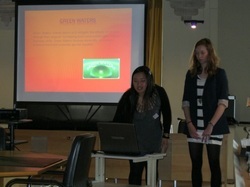 A partnership was formed between Green Waters foundation and Worldschool (http://www.worldschool.nl) in 2010. Worldschool Netherlands is an organization that works with higher secondary school students from within Netherlands as international advisors, who perform project research for partner organisations such as Green Waters. 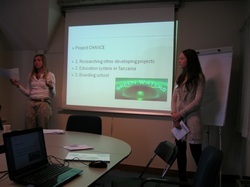 In 2010, six students chose to work on Green Waters project CHANCE, selected from the Worldschool’s database. In short, CHANCE is meant to be a secondary school scholarship project for orphaned children and children from low income families. The reason Green Waters decided on this projects are simple. It is a project that is needed because in Tanzania like any other third world country, there are no safety nets and therefore the vulnerable minorities are stuck in the cycle of poverty forever, unless they are given the much needed assistance. One might think, ‘we have heard all this before’, which is true, but the main point is that poverty is not going away anytime soon and the increasing impacts of poverty are mainly felt by those who are already suffering. Have you ever watched a mother bury yet another child because she couldn’t afford malaria pills or a sustainable diet for a sick child? Well, in the rural areas of Africa this is just one of the sad normal occurrences caused by poverty. Green Waters goals will always aim towards empowerment of the target groups so that they can be able to change their life situations. 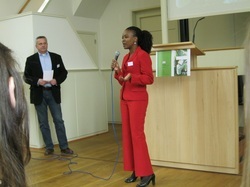 This is reflected on Green Waters main project MIKITA – a capacity building project for women in Tanzania. We would like to thank the management of Worldschool organisation for making the research for implementation of CHANCE possible. 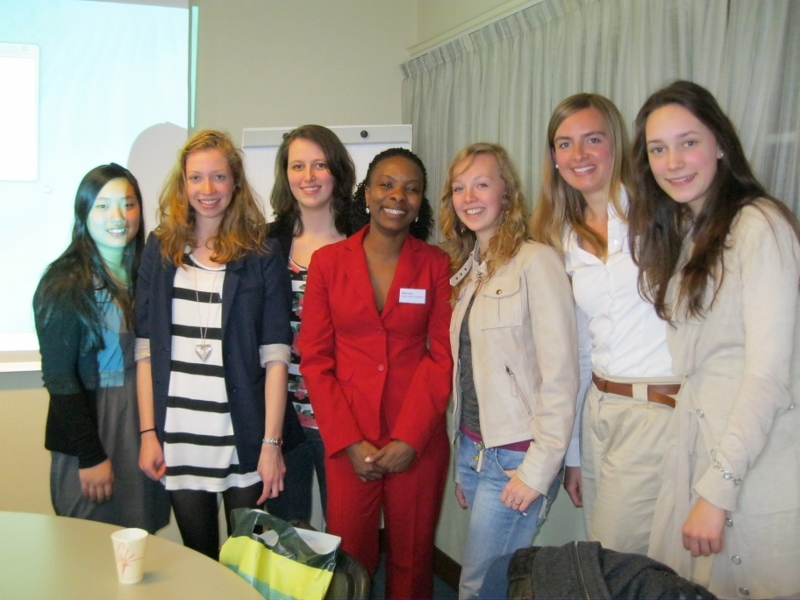 Special thanks to students who were the main participants for the research on project CHANCE : Ms Liza Coyer, Ms Iris ten Teije, Ms Eva Toes, Ms Emma Vredeveld, Ms Jeska Onderwater, Ms Jaymie Wink. Indeed the effects of poverty are initially felt locally but they never end there. We see the impacts of poverty by increased migration, crime rates, STD infections and others. The world school event of 14th April 2011 had led us to the conclusion that indeed it is possible to implement project CHANCE at some point, our main challenges will be to finding the finances, acquiring reliable organisation partners and ensuring sustainability. We hope many more dedicated people will join us on implementation of this project. We look forward to the cooperation.